Dragon Quest is among the highest selling, most popular, most beloved, and most influential video gaming franchises of all time- but you wouldn’t know it if you lived anywhere other than Japan. Outside of Japan, the Dragon Quest franchise has persistently struggled to replicate the kind of popularity that it enjoys in its homeland. Speaking to EDGE (via Nintendo Everything), Dragon Quest executive producer Yu Miyake discussed the reasons for why this is the case, noting that a lot of this has to do with Enix never making the effort to localize and market Dragon Quest in the west in formative years of the gaming industry. “It’s a topic we have been thinking about a lot internally: the question of why Final Fantasy is so much more popular than Dragon Quest in the west. One conclusion that we’ve reached is that it’s a question of historical timing. When the Famicom came out, Dragon Quest was the key game everyone was playing. But when the PlayStation came out, Final Fantasy VII was the game that everyone was playing. So the source of nostalgia is different for both groups: in Japan it’s Dragon Quest while overseas it’s Final Fantasy. The truth is that if we’d put a lot of effort into localising Dragon Quest at the time, we probably wouldn’t be facing this issue today. I probably shouldn’t be saying this, but we kind of messed up in that regard. “We put a lot of effort into Dragon Quest VIII. We put a lot of thought on how we could appeal outside of Japan. We used a lot more regional voice acting, for example. We put a lot of thought into the menu design. But we didn’t want to give up the core element that made the game Dragon Quest. The game did have some modest sales overseas, but it wasn’t anywhere close to the level of Final Fantasy sales. 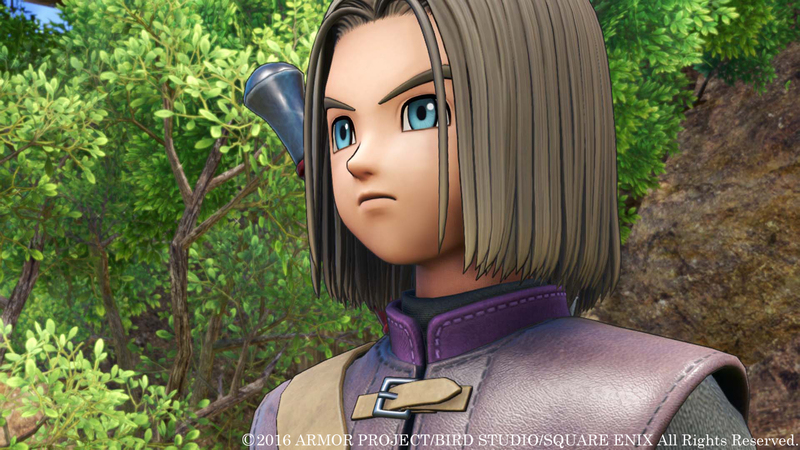 Hopefully, given the high sales of Dragon Quest IX, and the continued interest in the franchise in recent years, Square Enix are able to achieve high sales for Dragon Quest 11 in the west as well. The game is due to launch on PS4, Nintendo Switch, and Nintendo 3DS.